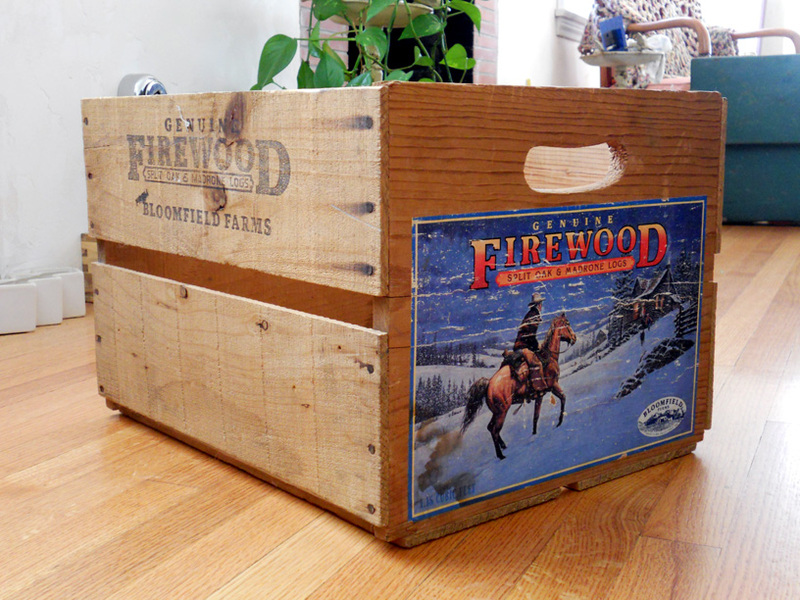 I have had this interesting vintage crate around the house for years. It has served many faithful functions. 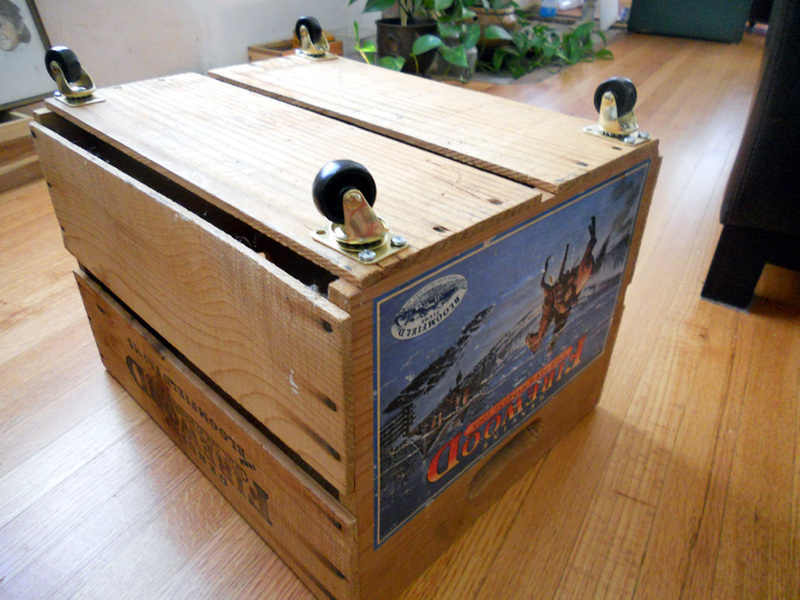 Until recently, I did not allow it in the house because I have freshly refinished oak floors and could not bare the idea of letting this crate scratch it up. So, banished to a corner in the kitchen it went and remained. Now, it has an upgrade and is a very welcomed re-addition to my home. 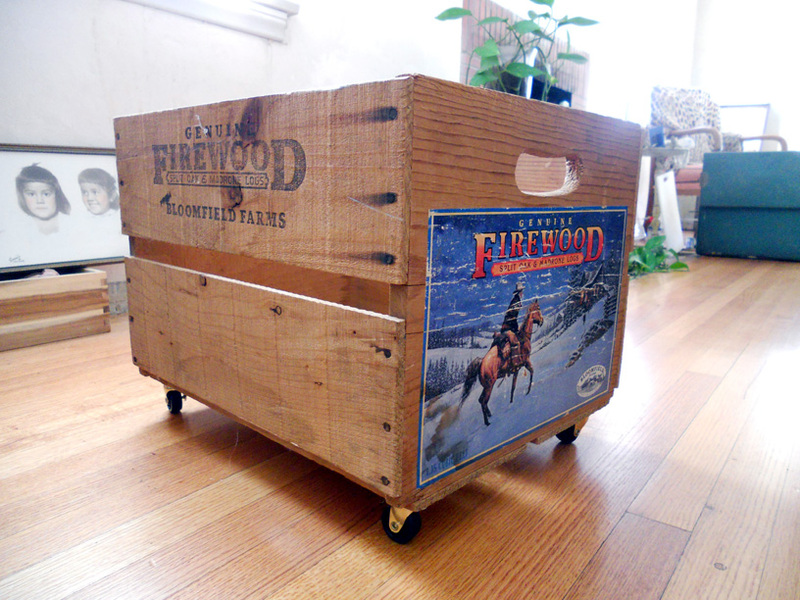 And, with the addition of the rubber wheeled casters, it can literally go any where in my home . . . happily. Supply List: I paid less than $10 total from my local hardware store. I already owned the screwdriver. Simply invert the wood crate and space out the casters evenly in the corners, not too close to ensure you do not split the wood. I would say about half an inch from the edges would be adequate. Also, the depth of the screw is important, make sure it does not go all the way through. 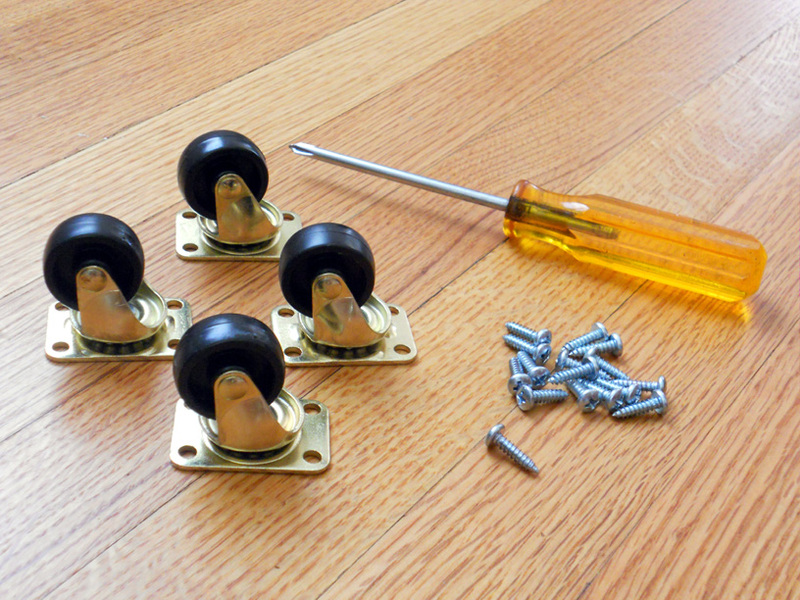 Being careful, insert and tighten the screws all the way down. I attached the caster to make a basic top loading style. However, you could easily place the casters on the short or long side making a rolling storage shelf. A grouping of these would make for interesting side tables, shoe racks, plant stands, additional bathroom storage. So many possibilities!